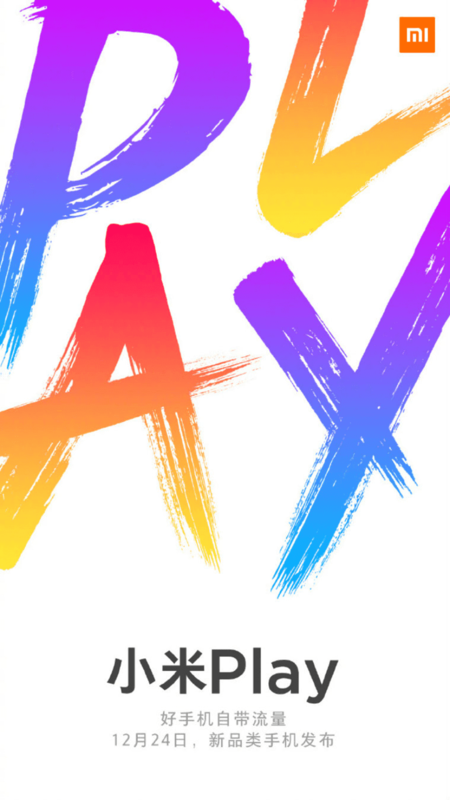 Xiaomi Play is officially slated for a December 24 launch. This is following the company's Weibo teaser post of something new and fun. 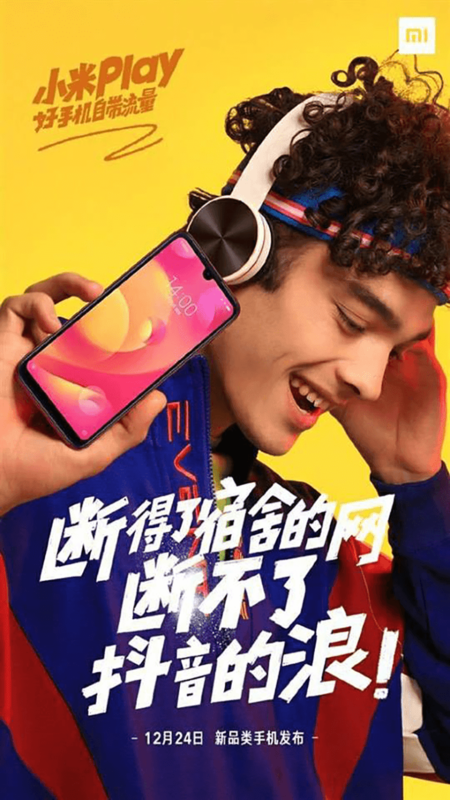 Related: Xiaomi announces Mi Play with MediaTek Helio P35! It could be the first in Xiaomi's new Play series of smartphones. The name itself is suggesting that this smartphone will be focused on delivering performance that is going to handle, entertainment, gaming and multitasking. Rumors are also suggesting that the Xiaomi Play could turn out to be the POCO F1 rebranded for the Chinese market. This means that it could have the same specs as the POCO F1 with the 6.18-inch IPS display, Snapdragon 845 SoC, 6GB/8GB of RAM, up to 256GB of storagem 4,000mAh and the LiquidCool technology. Rear cameras may have a 12MP Sony IMX363 primary sensor + 5MP depth sensor. It also has a 20MP selfie camera with AI as well. Could it be a rebranded POCOPHONE F1? 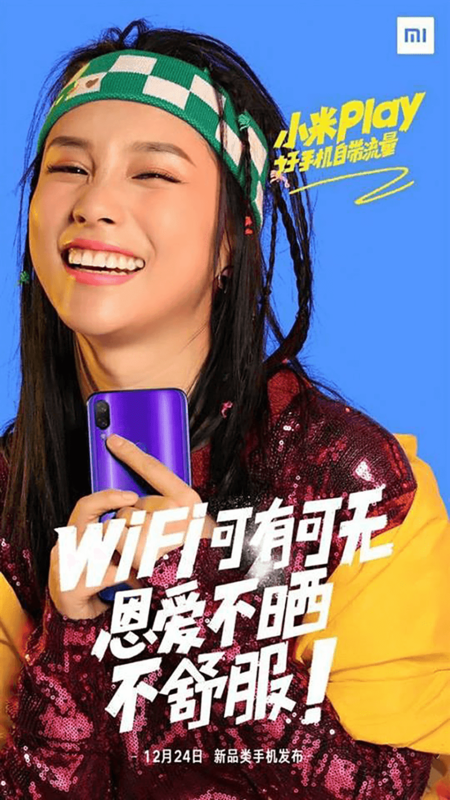 But based on the poster, it looks totally different from the POCO F1. It reminds us more of the Nova 3i design instead. Most likely, it will be a different machine. It could also be Xiaomi's answer to the popular Honor Play.